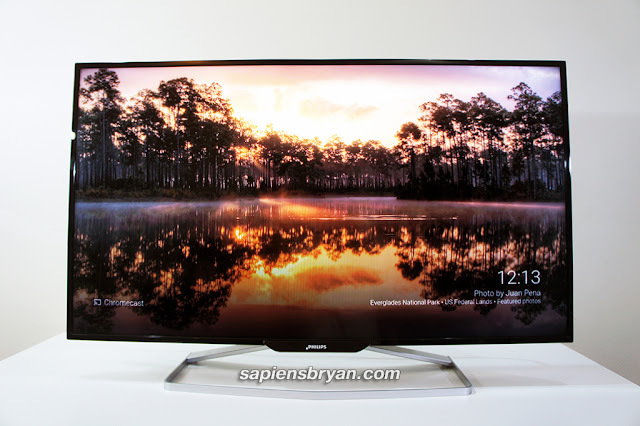 Huge size with superb image quality is my first impression on this Philips BDM4065UC monitor. Viewing a 40″ monitor at 4K resolution on your computer desk is a totally different experience from viewing a 40″ 4K TV from your couch. Therefore, using a 40-inch display as computer monitor is considerably huge. This impression of huge basically comes from the fact that the viewing distance between the user and monitor (about 0.6 meter away only) is a lot closer than viewing a 40″ TV (optimal distance around 1.5 meter). The monitor is huge but not bulky as its thickness is only 88mm without the stand and the bezel is slim too. Albeit some may think 40 inches is a little too big for a 4K monitor, I think the huge screen of this Philips BDM4065UC may be useful for people like photographer, videographer, programmer, architect, graphic designer, accountant, etc. These are the people who need big working space on a computer monitor. 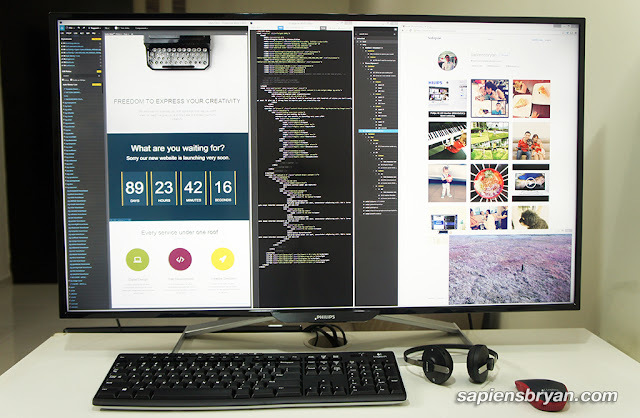 If your job needs a lot of scrolling, you probably need a bigger monitor like this one. Besides, the huge 40″ screen with wide viewing angle (up to 176º) is ideal to be used in meeting, presentation, or anytime when you need to split the screen into 2 or 3 or 4 separate screens. As mentioned in Part 1: Introduction & Unboxing, SmartResponse feature will make the response rate faster by shifting pixels as quickly as possible. 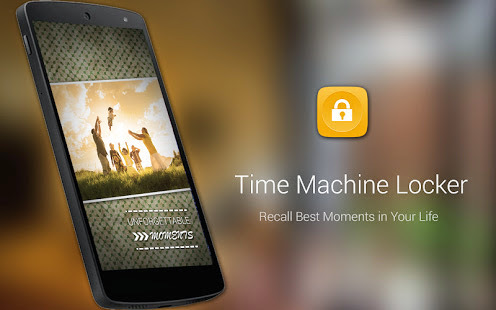 You can set it to 3 speeds, as in Fast, Faster and Fastest. While SmartResponse may solve the ghosting (smearing) effect due to slow response rate, it somehow creates inverse ghosting (trailing of images) as a side effect. All these are only noticeable if you really look very closely. 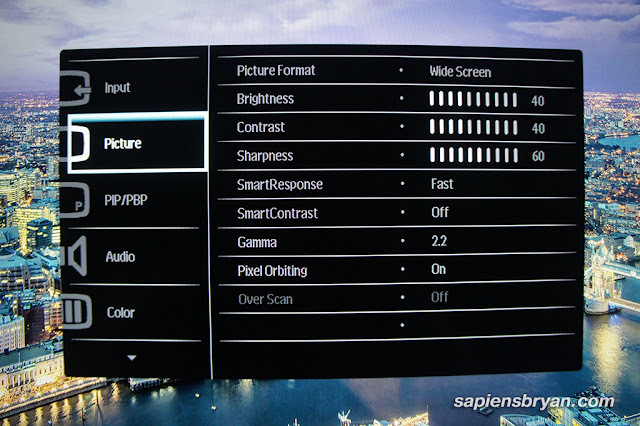 SmartContrast, as the name itself suggests, allows the monitor to adjust backlight brightness automatically according to the amount of “light” or “dark” in the image on display. This 40″ 4K monitor is huge but it doesn’t look bulky thanks to its slim bezel and there’s no button on the front. The monitor’s dimension without stand is 904mm x 512mm x 88mm and weighs only 8.5KG. It comes with an elegant metal stand that is slim and metallic. However, the metal stand is not adjustable which means the height and angle of the monitor is fixed and you can’t even tilt the monitor. It does support a VESA 200mm mount though, so you can fix it to a stand or a wall and it will be more versatile with the flexibility in tilting and swiveling. On the rear side, the VESA mounting screw holes are in the middle and there are 4 USB 3.0 ports (and 1 upstream port to connect to PC/laptop) on the right side. One of the 4 x USB 3.0 ports is a fast-charging port for quick phone/powerbank charging. There is an AC power port (for power cord) towards the bottom left. A pair of 7-watt stereo speakers is hidden beneath the monitor and face downward. Their frequency range is limited and the bass is not strong enough but it’s pretty loud though. “Do you really need such a huge computer monitor?”, that’s one of the few questions I received when I was reviewing this huge Philips 40-inch 4K LED Monitor (BDM4065UC). Most of the time, I responded with “it depends on what are you using it for?” as an answer. The reason is that if you are using a 40″ 4K monitor for web browsing and Facebook surfing then it’s really an overkill. On the other hand, if you are using it for watching 4K movies, coding, photo/video editing, drawing, designing, accounting, meeting presentation, or even light gaming, then a 40″ 4K monitor is a suitable choice for you. 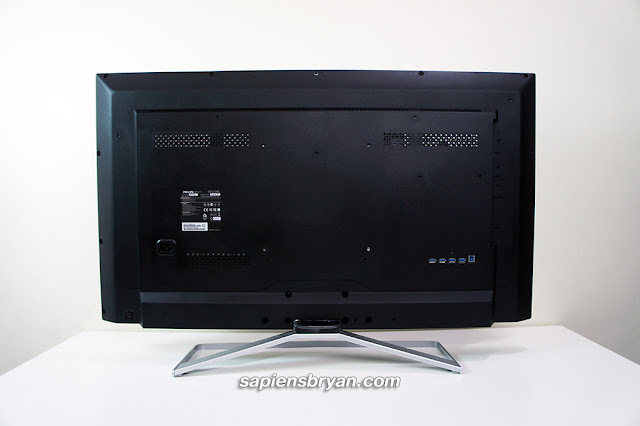 A 4K monitor, such as this Philips BDM4065UC, packs a display resolution of 3840×2160. This is about four times as many pixels as a Full HD (1920×1080) display! 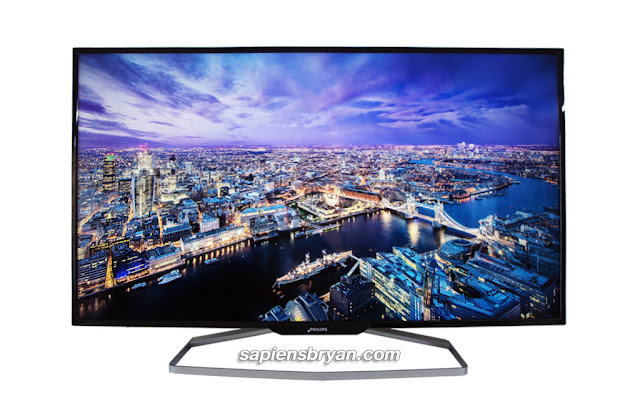 Spreading the 4K resolution over a diagonal viewing area of 40” inches will give it a pixel density of 110ppi. So, it’s at more manageable level than the 163ppi and 138ppi densities found on 4K screens with 27″ and 32″ monitors respectively. In other words, it means reading text is more comfortable and scaling is practically not needed for Windows desktop applications on a 40″ monitor with 4K resolution. A few weeks ago, I received a CityLite II Ultra Backpack from Targus for review. 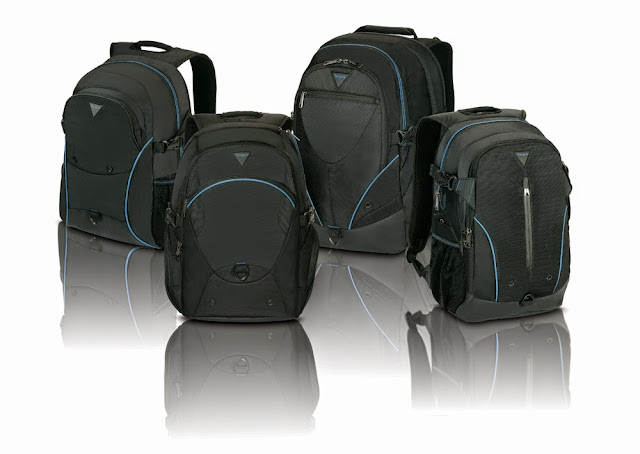 CityLite II Ultra Backpack is one of the latest models in Targus CityLite II series that they just launched in April 2014. I’ve been using it daily and truly love it as my primary laptop bag now. Prior to using this CityLite II Ultra Backpack, I’ve always thought the free laptop bag that comes with any purchase of a new laptop is good enough for everyday use. I had to change this misconception of mine after using a CityLite II Ultra Backpack because I was impressed with the extra protection it offers and some features that totally worth the money. 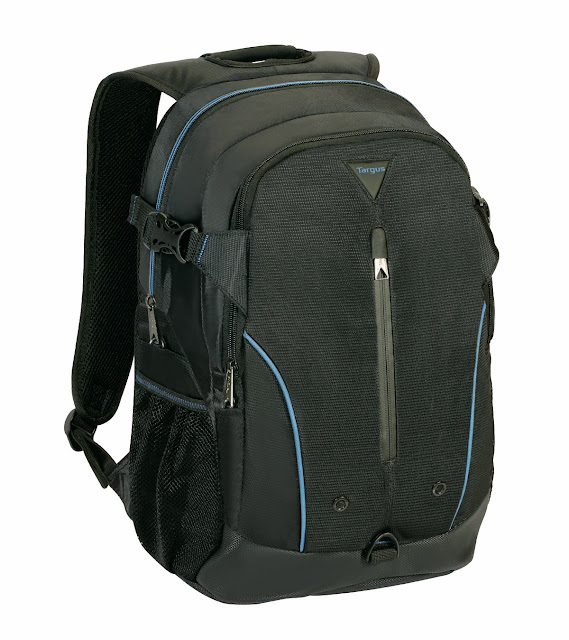 Targus CityLite II Ultra Backpack, like all the backpacks in CityLite II collection, is designed for travel and everyday use. It is great for business commute, travel, and as a carry-on for airplanes too. 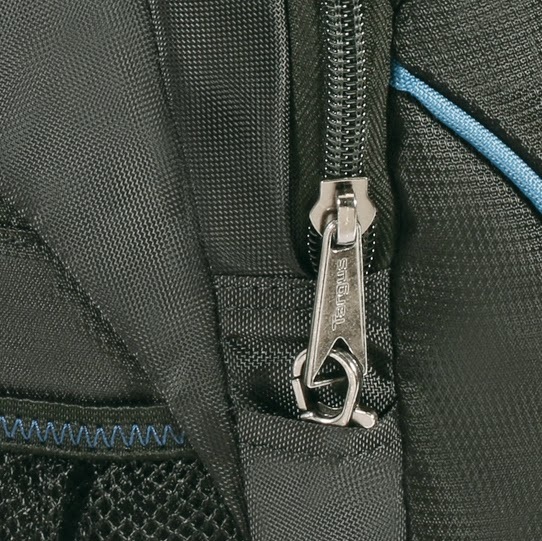 The safety lock anti-theft puller system prevents easy access into the backpacks. It’s very effective to avoid unwanted opening of the bag and makes it harder for pickpockets to unzip and steal anything from inside the backpack. 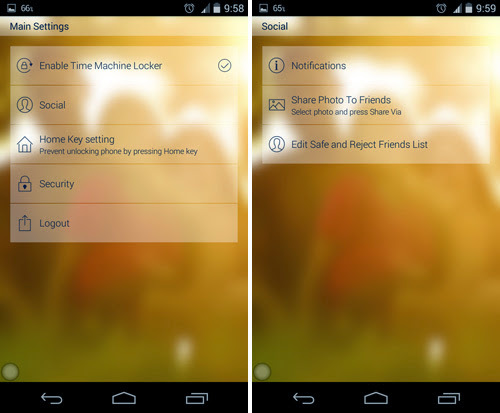 This feature provides better safety against pickpockets and thieves especially when commuting.